Anger addiction is a serious problem, and you have what it takes to solve it. If you're looking for some free help and information, this is a great resource for you. First, you have to know what it is to be addicted to anger...so we'll start there. Then you'll learn about all of the great anger management resources that are right here at your fingertips. After that, we'll look at the difference between anger and rage addiction, in case you are wondering about that. Okay, let's understand this problem and how it happens, step by step. As you read this web page, remember that you have a good heart, and that's where your healing comes from. How Does Anger Become Addictive? Something triggers your anger. You are "set off" by something that really "pushes your buttons." You may not be consciously aware of it, but you feel helpless or powerless about what's going on. This is a miserable feeling, and it fuels your anger. This is usually subconscious--consciously, you might just be feeling out of control and crazy, thinking thoughts like, "I can't take this any more!" or "This has got to stop!" You are probably blaming others for your anger and the accopanying fear and pain you may be feeling. You might even be feeling like a victim to them or what they're doing. This is when thoughts of getting revenge come to mind. Believe me, you don't want to go there. You get angry. You blow up. You might yell, scream or just raise your voice. You might throw things, drive badly, hit someone or even threaten someone's life. You feel a rush of power, and maybe you are even aware of adrenaline coursing through you. You feel stronger because of this, and it takes you right out of the helpless feeling. This is how the addiction gets locked into place.The bad feelings that were there went away! And it all came because you got angry. So it seems to you that having a blowup like that is a good thing. Plus, you justify it in your mind, and believe that you were right to be angry and to do what you did. But then...you look around. You calm down a little, and start to realize what you've done. Most likely, you have hurt someone you love. That's where the anger usually goes--toward family and loved ones. The guilt sets in. You may or may not think of apologizing, but if it's going to happen this is where it is most likely to. Whether you say anything or not, you feel bad about hurting someone you love. Secretly, inside...you liked the power that went with the anger. And it might have gotten the response you wanted from the other person. If so, you got a double reward--good feelings from inside and a change from the outside that feels good. If this happens, your anger addiction is well under way. You're "nice" for a while. This is easier now, because you got the anger "off your chest," and the person you were angry with might be acting better--or at least different. Plus, you still have some of that residual sense of power from the adrenaline. All of the underlying problems that "set you off" and "pushed your buttons" are still there. So, it's only a matter of time before it all starts again. 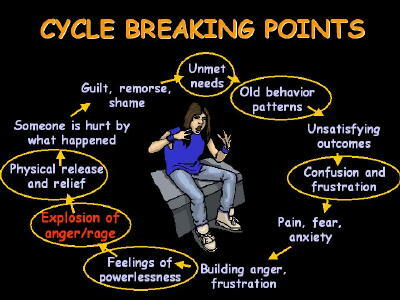 The old behavior shows up again, and the anger addiction cycle goes right back into motion. Getting help on this site...Hey! That's better than anything else on this list, right? 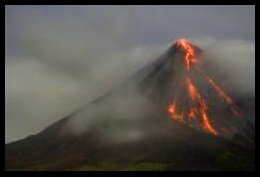 How Do I Heal From Anger Addiction? 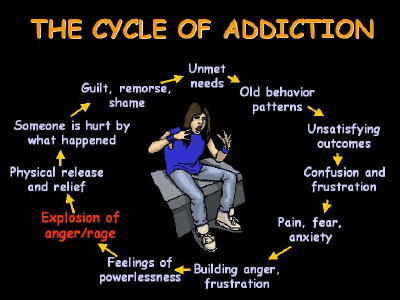 The addiction cycle has to be broken for healing to begin. Read a detailed account of how to break the cycle here. Look at the history behind your anger. Take a look at the pain and fear underneath and work towards healing that. Identify your unmet needs and take personal responsibility for meeting them. Anger addiction is fueled by blaming, and taking responsibility is the antidote to blame. Write or tell your own stories of pain and trauma, to experience the healing benefit of expressing emotions. You will be amazed at how powerful this can be in your healing process. 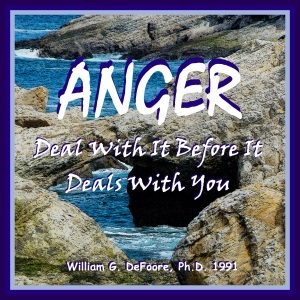 If you're really serious about breaking the cycle and overcoming anger and rage addiction, get your copy of this CD program or audio download and listen repeatedly until you're free from the addictive cycle! This type of problem is like a strong weed growing in the garden of your emotions, and it has to be pulled up by its roots--so that it doesn't just keep coming back. What that means is that we have to get to the story behind your anger, and find out all of the reasons it is there. That's what you'll be able to do with the audio program, Anger: Deal With It Before It Deals With You. Get Your Copy Of This Audiobook Now! Between Anger Addiction & Rage Addiction? Anger can be quiet, controlled or even healthy. Rage is rarely quiet and controlled, and never healthy. Anger can be pretty clear and specific--"I'm angry at that person for this specific thing that happened." Rage is not clear, and usually unfocused. Rage almost always means being out of control, but not anger. Therefore, as you can tell, rage addiction is much more serious than anger addiction. 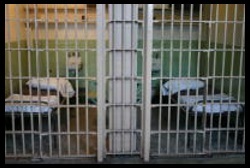 People are more likely to get physically injured by a rage addict than by an anger addict. In other words, rage addiction is more likely to lead to physical violence than anger addiction is. Learn more, by reading what Wikipedia has to say about the term rageaholic. I hope this clears some things up for you. The main thing to consider here is that you are your own best anger management resource, and you can accomplish what you set your good heart and mind to.